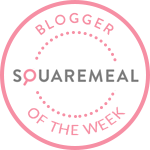 Emily's Recipes and Reviews | UK Food Blog | Leicestershire : roast cauliflower, vine tomato and red pepper linguine. roast cauliflower, vine tomato and red pepper linguine. A healthy take on pure comfort food. There's nothing like a piping hot bowl of pasta with lashings of Parmesan cheese. In this recipe, the roasted cauliflower, tomatoes and peppers bring together varying textures and flavours. What's more, it goes towards your five a day. Step one. Roast together the cauliflower, tomatoes and red peppers with seasoningon a baking tray for 25-30 minutes. Step two. Meanwhile, cook your linguine to the packet instructions (usually around 10-12 minutes). Step three. Drain but keep around 1 tsbp of pasta water in the saucepan. Stir in the vegetables, pesto and tarragon. Serve up immediately with extra salt and pepper to taste, plus shavings of Parmesan. What are your favourite vegetarian pasta recipes? What is your go to cauliflower recipe?